Hitchcock was Daphne du Maurier’s number one fan, he must have been seeing as he turned her short story “The Birds” and Rebecca into successful films, many of her other films have been adapted for the screen, including Don’t Look Now and Jamaica Inn. One has to ask, what is it about Daphne’s writing that makes directors yearn to take the story and bring it to life. It must be the way that she is capable of making one agitated in their own skin, the way she can make the bravest of people worry about their own actions. Her stories are frightening to say the least, but there is something far more sinister at play. 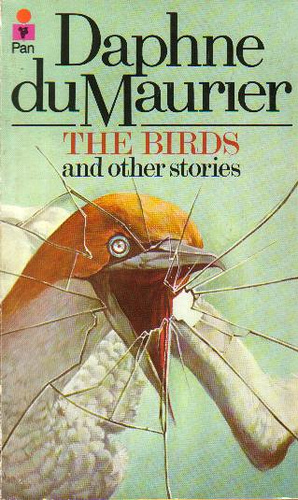 Daphne du Maurier (1907-89) had always written short stories and was said to have had such an imagination that she had created a male alter ego for herself. When reading her stories, the one question that constantly enters one’s mind is, “where does she get such ideas from?” To be able to write in the short story form takes skill, but to write them intensely well is someone blessed with divine skill. I have never been captured by this form, not since Edgar Allen Poe that is but Daphne, like some form of shaman, manages to suspend the reader high up in the air, only to release the cord tauntingly. Images and scenarios concocted by the wonderful Daphne du Maurier raises the many hairs upon all parts of the body and her deep and penetrating psychological thrills and spills leave the reader gaping in horror. “The Apple Tree” is the story of a husband who has just lost his wife, one would expect him to be in the pits of despair, but he isn’t, in fact, he is rather relieved. He finds peace at last, he is able to breathe and live the life that he had lost. But he soon discovers that his wife has not left his side, she has in fact, never been so very present in his life. This collection is like a beautiful bouquet of flowers, each stem leads to an incredible flower, each different in their own right, and not one petal lets down the entire bouquet. It may be odd referring to such horrific stories akin to flowers, but to the reader, that is what they are. Fear not, you shan’t be let down by this wonderful collection, and it is the perfect read in time for winter and Halloween. It’s certainly a book that one wants to curl up with on a grey day, with cup after cup of good tea.